We are a group of nonprofit and community action agencies, colleges, state agencies, planning district commissions and other interested citizens and businesses seeking to develop a renewable energy industry cluster in the seven coalfield counties of Southwest Virginia. 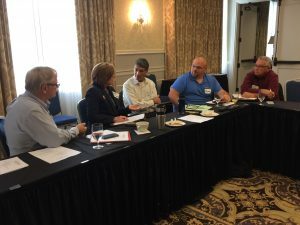 The workgroup is co-convened by the UVA-Wise Office of Economic Development & Engagement, People Inc. and Appalachian Voices, with facilitation assistance from Dialogue + Design Associates. 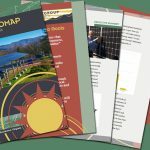 Read more about the Solar Workgroup background and progress here, and check out our timeline and accomplishments infographic here. 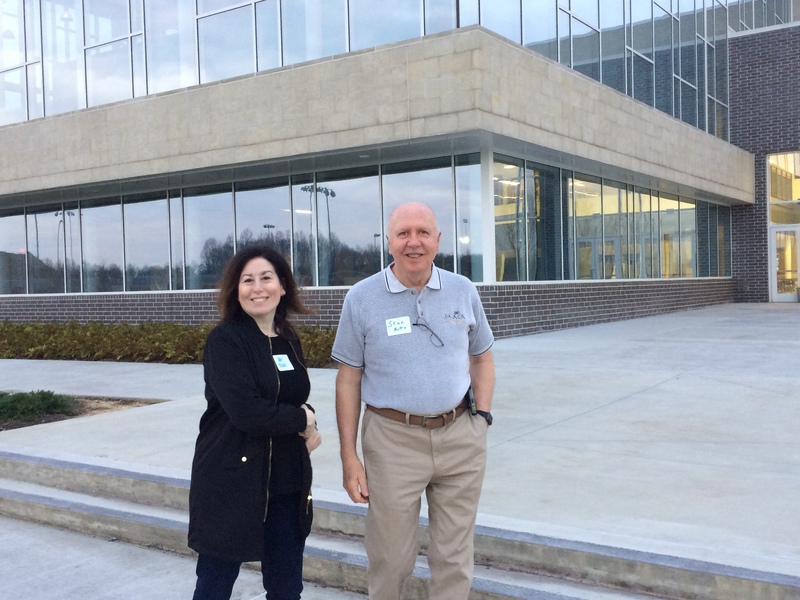 The next in-person Solar Workgroup meeting will be on Monday, June 3rd from 2:00 – 4:00 pm at UVa-Wise. Join us for a discussion on pumped hydro storage, laws impacting solar and economic development in Southwest Virginia, and a discussion on priorities for the 2020 General Assembly session. We will meet in the Dogwood Room (5th floor of the Student Center) at UVa-Wise, 1 College Avenue, Wise, Virginia. We have released the second Commercial-Scale Solar RFP, seeking proposals from bidders for 12 projects totaling 2.73 MW of solar energy. Click here for more details. 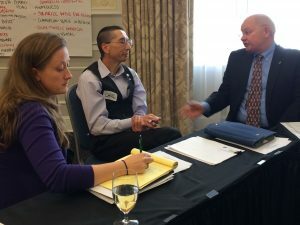 Click here to read the GO Virginia and ARC POWER April 2019 grant proposal executive summaries that the Solar Workgroup just submitted (fingers crossed!). On April 16th, the Solar Workgroup came together to talk about solar energy storage, planing a utility roundtable conversation, and the RFP#2 progress. Check out the meeting summary for these updates and more. Here is the meeting summary from the March 6th Solar Workgroup call. We had a productive Solar Workgroup meeting on Wednesday, February 20th at the Western Front Hotel in St. Paul. Click here to review the meeting summary. We have launched our second Commercial-Scale Group Purchase Program. Click here to learn more or sign up to join the Cohort and have solar installed on your building. We are delighted to share a big congratulations to the NCi team who was selected as the contractor by the Solar RFP Selection Team for six commercial-scale solar RFP sites in SWVA (the NCi team includes Northeast Construction, Acorn Electrical, and RockBridge Energy). Please check out and “like” the Solar Workgroup Facebook page! 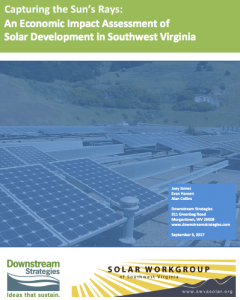 In Nov. of 2017, the Workgroup released a report called Solar Roadmap of Southwest Virginia detailing a multi-faceted strategy for establishing a vibrant solar energy hub in the coalfields of far Southwest Virginia. The report explores the issues of funding, policies, workforce training and education as they relate to solar advancement in the region, and identifies 15 sites that would be ideal models for solar installations. The Economic Analysis, Site Assessment and Profiles are complete! 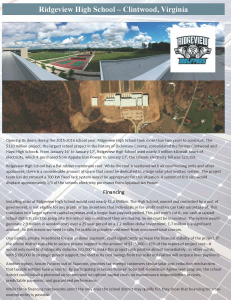 Downstream Strategies, working with project partners, completed the site analysis and profiles of the potential solar site candidates, along with an economic analysis for solar development in Southwest Virginia. Click on the first thumbnail to view the Economic Analysis and the second thumbnail to view the site profiles. 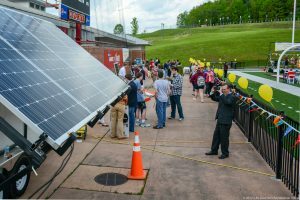 Thanks to all of you for coming to the Solar Fair in May of 2017! You can read more about it here, or see more photos here. The Solar Workgroup of Southwest Virginia is a group of nonprofit and community action agencies, colleges, planning district commissions, the Virginia Department of Mines, Minerals and Energy and other interested citizens and businesses seeking to develop a renewable energy industry cluster in the seven coalfield counties of Southwest Virginia. This workgroup grew out of the Economic Forum held at University of Virginia’s College at Wise on May 12, 2016. UVA-Wise Office of Economic Development & Engagement, People Inc. and Appalachian Voices are co-convening this stakeholder process, which is facilitated by Dialogue + Design Associates, with solar development research and education provided by Appalachian Institute for Renewable Energy. 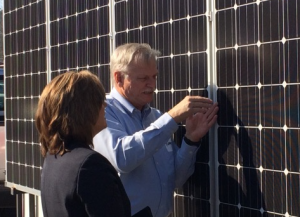 The economic benefits of a renewable energy industry in Southwest Virginia could be significant, especially if it grows to include all aspects of the solar value-chain, from manufacturing to engineering to installation. Regional electricity demand is expected to grow over the next 8 years and the types of businesses being recruited to the area will rely on abundant, redundant, and renewable energy. Fulfilling a part of that demand growth with locally generated renewable energy would provide an economic boon and a powerful leverage point for scaling up a diverse regional renewable energy industry sector. Generate over $80 million of valuable renewable energy. We are now conducting a stakeholder process to jointly and collaboratively create a roadmap for renewable energy economic development in Southwest Virginia’s coal mining region. The roadmap will identify opportunities for specific renewable energy projects across the region, as well as workforce development needs, supply chain gaps and local business opportunities. It will also identify project capital networks and lay out strategies to generate project capital. Finally, the process we envision will not end with the publication of the roadmap, but will be ongoing as we work together to implement the recommendations and strategies of the roadmap for years into the future. Participation in the solar stakeholder process is open to all interested parties. To learn more, contact Adam Wells at Appalachian Voices: adam@appvoices.org.